Use a comb with a handle like this one to ensure the straightest side part possible. Make sure product is distributed evenly by running a brush through your hair - that way, there will be no clumpy build-up! 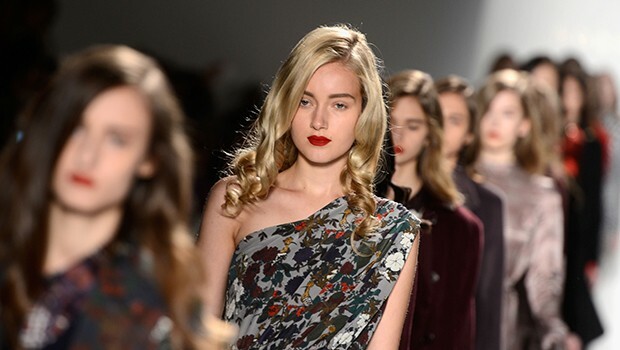 Middle parts were all the rage at New York Fashion Week during the Fall/Winter 2013 shows, but let's back up a minute - spring is right around the corner, and that's where our fashion focus is headed right now. Before you reach for the comb, take a look at the spring runways for this upcoming season's hair inspiration, and consider the side part. We loved the slicked-over 'dos at Lacoste, as well as the pulled-back buns at Altuzarra. A side part, worn up or down, is the perfect way to give a spring look - amidst floral prints and neon hues - a much-needed boost of sophistication. Click through the gallery for the best runway inspiration, as well as some products you'll need to complete your look.